At Lavender HIlls Farm, we only use the cappings wax for our candles and cosmetics. This is the wax that the bees produce to cover the honey in the hive and is saved during extraction. Because it is brand new, the wax is golden, aromatic and clean. 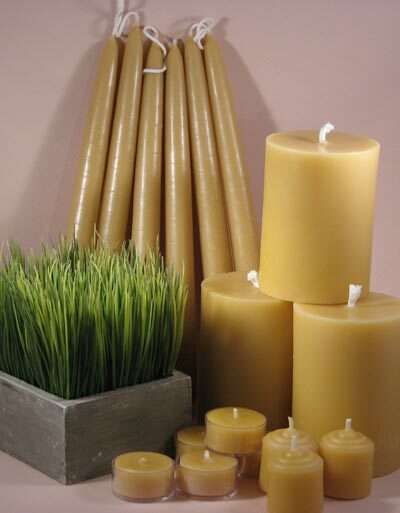 Beeswax candles burn without smoke, emitting a warm golden glow and the gentle fragrance of honey.